Whether at work, school or while out running errands, many people experience mid-day hunger. You know that overwhelming feeling: your body says drop everything and feed me now. The problem is that since it comes on with urgency, your immediate reaction is to stuff anything you can find quickly into your mouth to satisfy your hunger. In most cases, these are not healthy choices, but rather fatty foods or refined sugar products that initially fill the void. 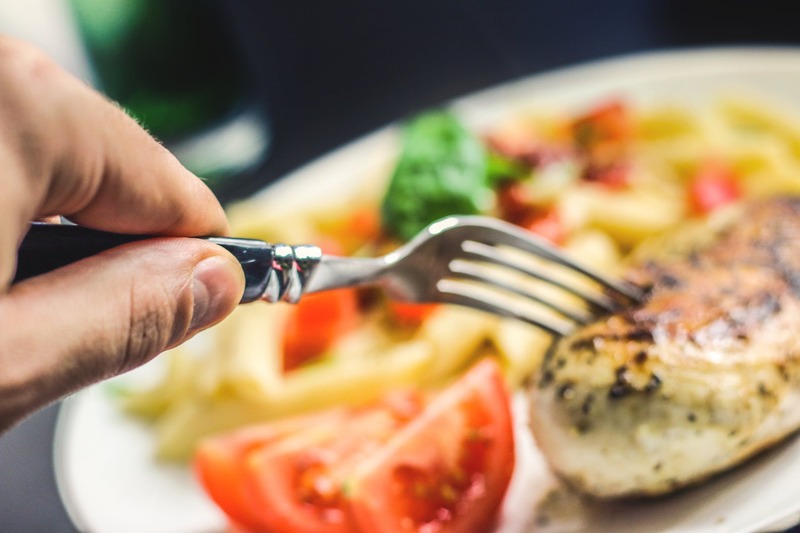 Within a short period of time, the hunger pangs resurface, causing you to eat much more than your body actually needs to maintain a healthy weight. One way to avoid gaining weight is to keep a supply of healthy foods or low-calorie beverages with you so that when you need to eat in between meals you’ll only digest 100 calories or so. For instance, you can make a low-calorie smoothie before going to work using a modest amount of grenadine syrup and enjoy a tasty treat that satisfies your need for something sweet and fills your belly without affecting your diet in a dramatic way. Stress causes many reactions to the body, with one being a false sense of hunger. If you have a high-powered job that demands your attention throughout the day with things like meeting deadlines, supply orders and an array of other problems or you are a full-time mom with several young children these can play a role in creating your hunger pains. The good news is that since they are not real and you don’t really need to eat, you can control these urges and even prevent them from happening. Take a deep breath and if possible share the workload. When you are very busy and a sudden urge to eat comes on, you often push it off until you finish what you are doing. And, even sometimes you forget to eat and don’t have any reminder pains. The key to not consuming a large caloric intake between meals is to distract you. When you feel the urge come on take a walk or do a few private push-ups on the job. The most important thing is to keep busy to avoid giving in to taking in calories that your body does not require. You had a healthy filling breakfast that included protein and good fats so you know that you should not be hungry. Mid-day food cravings are very common and in most cases, it’s because you give in, so your body now expects another meal even after a large breakfast and a filling lunch. Keeping a water bottle on hand will give you the tools you need to suppress your hunger even if only until you leave school or your job for the day. Water is also a natural cleanser essential to your existence, so a bottle each afternoon has benefits beyond the silencing of your hunger pains. Afternoon hunger is common to many people. Thankfully, you have control over what you put into your body. If you must eat something, then bring along a low-calorie beverage or carrot sticks, cucumbers or celery. You can also make the decision to ignore it and eventually the pains will dissipate and you will then stay on track with your diet.